Why wait to start your new life? We strive to ensure our patients are happy, healthy and comfortable. Why choose Plastic Surgery Specialists? Call us today at 410-841-5355 to schedule your FREE cosmetic consult! A tummy tuck, also known as abdominoplasty, can significantly enhance the appearance and self-confidence of men and women in Annapolis, Maryland. READ MORE. All women want to feel beautiful, confident, and healthy. For many, this means having larger, shapelier breasts through breast augmentation in Maryland. READ MORE. Women and men from communities near Annapolis choose face lift surgery to turn back the clock and reveal a more youthful-looking appearance. READ MORE. Numerous men and women are discovering the benefits of liposuction in the Baltimore, Maryland area. READ MORE. Having a child is a beautiful and unforgettable experience. But having a baby should change your life, not your body. READ MORE. CoolSculpting® is the coolest, most innovative, non-surgical way to lose those annoying bumps and bulges of stubborn fat. READ MORE. Women are considering Plastic Surgery Specialists for their Maryland breast lift procedures to help restore a youthful position and feminine shape to their breasts. READ MORE. At PSS MediSpa, you can enjoy cosmetic results without plastic surgery to help your skin look its very best. READ MORE. 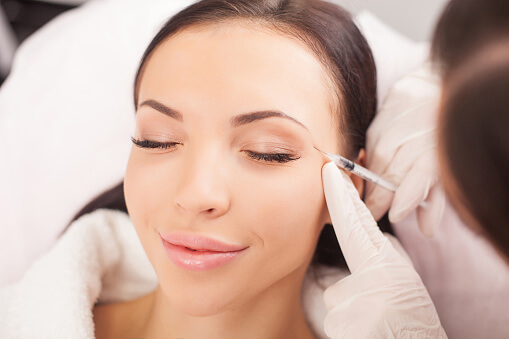 There are many benefits of Botox treatments, including helping effectively diminish the appearance of facial aging. READ MORE. SculpSure® is the newest non-invasive fat removal technique that gives a client a slimmer silhouette in as little as 25 minutes. READ MORE. Struggling with excess skin on the arms following a recent weight loss? An arm lift can remedy the look of that left over skin. READ MORE. PSS is one of the first local practices to offer Kybella injections for submental fat reduction, to improve the appearance of a double chin. READ MORE. Plastic Surgery Specialists and PSS MediSpa share specials, tips and information regularly on your favorite social media channels. Be sure to follow us for more information.